“What everyone wants to know about your announcement is the extent of its limitation of prisoner organs,” asked the host of China Central Television, China’s flagship propaganda television station, of Huang Jiefu, the country’s top transplantation official, in an attitude of faux-earnestness. In December, Huang had made a remarkable announcement: that organs from death row prisoners would, as of Jan. 1, 2015, no longer be used in the country’s transplantation system. Except that, according to Huang Jiefu, those hospitals actually are allowed to use organs from prisoners. It’s just that they’re no longer to be called organs from prisoners. Huang said precisely that in another interview, with the Hong Kong-based Phoenix Television. Both interviews appeared on Jan. 11. “We definitely don’t want to use this term, death row-prisoner donations,” he said, in response to a question seeking to clarify if there would be any circumstances under which death row prisoners donate their organs. “We must rely on voluntary citizen donations as our source of organs, that’s the only way we can talk about being part of a transparent and ethical world,” he added. China’s transplantation establishment has been stung recently by high-profile ostracization from the international transplant community. The transplantation establishment was rebuked by The Transplantation Society in an open letter in February of last year, and a conference the Chinese establishment was scheduled to hold midyear—originally in the spirit of celebration—was put off by four months and then mostly boycotted. Many Chinese transplant surgeons were also excluded from the World Transplant Congress held in San Francisco in July of last year. 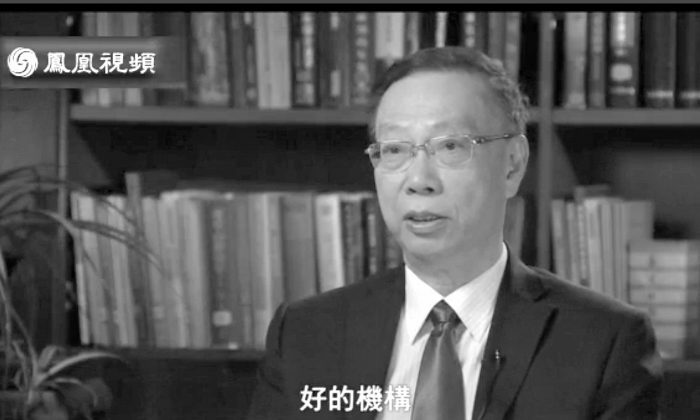 But China’s transplant regime will have continued difficulties adapting to a “transparent and ethical world,” as Huang put it, because of the next line he spoke in the Phoenix Television interview. That is to say, China will stop using organs from death row prisoners, and all organs will be categorized as citizen donated organs (death row prisoners are citizens, too, Huang said). But if death row prisoners do want to donate their organs, then they are still allowed to do so. This remarkable demonstration of doublespeak, however, makes sense given the circumstances that Huang is operating within, according to David Matas, a lawyer who has written extensively about the abuses of China’s organ transplant system. He’s playing to a number of different audiences. Matas co-authored Bloody Harvest, a report, which concluded that over 40,000 practitioners of Falun Gong, a traditional spiritual practice that has been persecuted in China since 1999, were executed for their organs in the years 2000–2006. These tensions Huang faces, and the opposing goals they posit, leads to their reconciliation with “double speak, or triple speak,” Matas said. Huang Jiefu has a previously demonstrated problem with keeping his stories straight. In the recent interview with Phoenix Television, Huang said, in recounting tough questioning he received from students at Hong Kong University earlier this year, that he has only performed the extraction of an organ from a prisoner on one occasion. “I didn’t go after the first time. I’m a doctor. The moral baseline for a doctor is to respect life,” he said. China Daily, the official English-language mouthpiece, was even clearer about what would and wouldn’t change under the new system. “Huang said that these regulations are being amended and … make voluntary donations the only source of organs,” China Daily wrote. “Prisoners are still among the qualified candidates for donations, but their organs will be registered in the computerized system instead of being used for private trades, which will be the main difference in the future,” the newspaper said, citing Huang. With roughly 10,000 transplants in China each year, and each transplant worth at least tens of thousands of dollars, a likely annual cash stream for the industry can be counted in the hundreds of millions, or perhaps over one billion, dollars. The recent appearances in the press sought to present a different overall impression, while still letting the fine print stand. It is unclear whether The Transplantation Society and the other medical groups will be inspired by the recent change, such as it is, to alter their stance on China. An email to the new director of the organization, Philip J. O’Connell, did not immediately receive a response. Ethan Gutmann, the author of The Slaughter, a book about the illicit organ harvesting from Falun Gong prisoners, likened the current scenario to the running gag in the Peanuts comic. “Lucy lines up the football …” he wrote in a droll email, a reference to the yearly stunt where Lucy sets up a football for Charlie Brown to kick, only to pull it away and watch him fall on his back—every time. “Huang Jiefu = Lucy. The Transplantation Society = Charlie,” Gutmann wrote. At the end of the day, after all the lofty promises, Beijing has preserved its licence to kill.